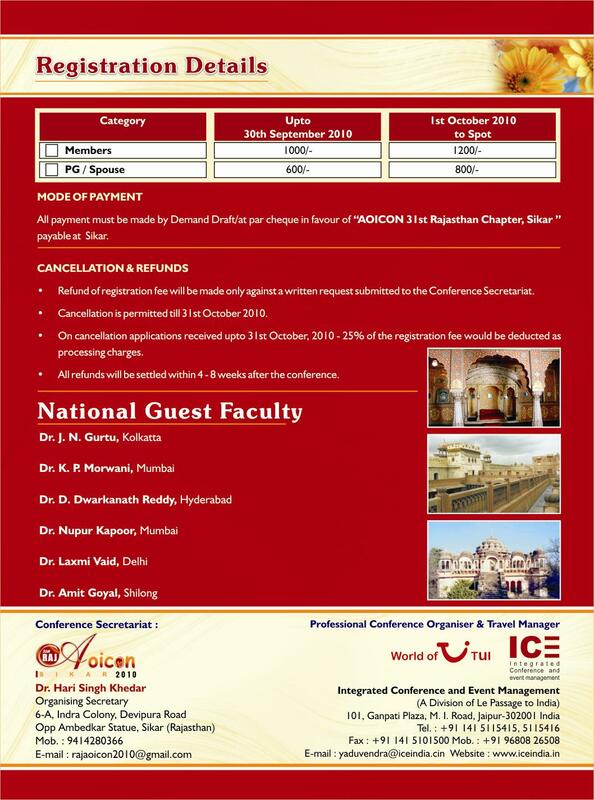 Otolaryngology Update: 31st Raj AOICON – 2010,13th and 14th November 2010 Sikar. 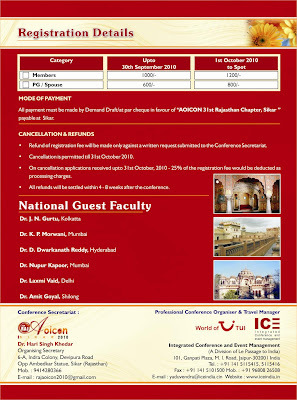 31st Raj AOICON – 2010,13th and 14th November 2010 Sikar. AOI – Sikar on 13th and 14th November 2010 Sikar. Please find attach herewith the 1st Announcement Brochure for the same. Kindly get yourself registered as early as possible. We look forward to your participation at SIKAR.